Using a Chiral Monodentate Oxazoline Ligand. J. Am. Chem. Soc., 2018, 140, 3542-3546. ^ Highlighted by Synfact 2018, 14, 614. 52. Radical-mediated β-C(sp3)−H Amidation of Alcohols: Facile Synthesis of Oxazoline and 2-Aminoalcohols. Xue-Qing Mou, Xiang-Yu Chen, Gong Chen, and Gang He. Chem. Commun. 2018, 54, 515. DOI: 10.1039/c7cc08897c. 51. A General Strategy for Synthesis of Cyclophane-Braced Peptide Macrocycles via Palladium-Catalyzed Intramolecular sp3 C−H Arylation. Weijun Shen*, Peng Liu* and Gong Chen*. 50. A Unified Photoredox-Catalysis Strategy for C(sp3)−H Hydroxylation and Amidation Using Hypervalent Iodine. Guo-Xing Li, Cristian A Morales-Rivera, Fang Gao, Yaxin Wang, Gang He, Peng Liu*, Gong Chen*. Chem. Sci. 2017, 8, 7180-7185. DOI: 10.1039/c7sc02773g. Delong Mu, Xinmou Wang, Gong Chen*, Gang He*. J. Org. 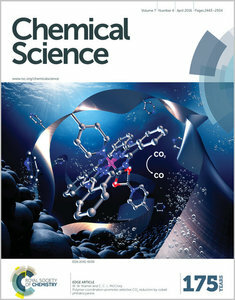 Chem., 2017, 82, 4497–4503. 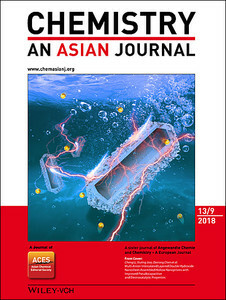 DOI: 10.1021/acs.joc.7b00531. 47. Halogen-Bond-Promoted Photoactivation of Perfluoroalkyl Iodides: A Photochemical Protocol for Perfluoroalkylation Reactions. Yaxin Wang, Junhua Wang, Guo-Xing Li, Gang He, and Gong Chen*. Org. Lett. 2017, 19, 1442-1445. DOI: 10.1021/acs.orglett.7b00375. 46. Palladium-Catalyzed β-C−H Arylation of Aliphatic Carboxamides with Sterically Hindered Aryl Iodides Using -Sulfinyl Aniline Auxiliaries. Delong Mu, Fang Gao, Gong Chen*, and Gang He*. 45. 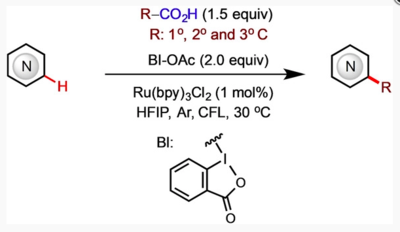 An Enantioselective Bidentate Auxiliary Directed Palladium- Catalyzed Benzylic C H Arylation of Amines Using a BINOL Phosphate Ligand. Hao Wang, Hua-Rong Tong, Gang He*, and Gong Chen*. Angew. Chem., Int. Ed. 2016, 55, 15387-15391. 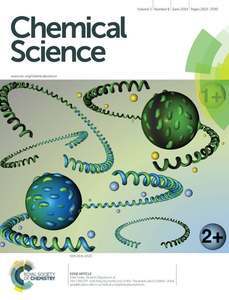 DOI: 10.1002/anie.201609337. ^ Highlighted by Synfact 2017, 13, 163. ^ Highlighted by Chin. J. Org. Chem. 2017, 37, 542. 44. 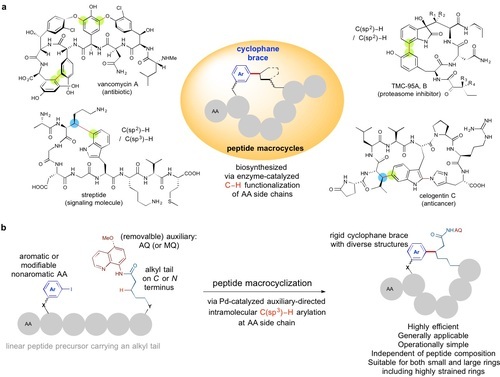 Synthesis of a Suite of Click-compatible Sugar Analogs for Probing Carbohydrate Metabolism. Bo Wang, Daniel McClosky, Charlie Anderson*, and Gong Chen*. 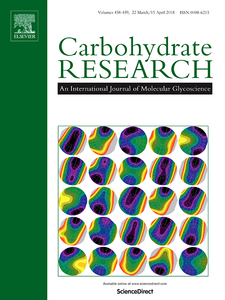 Carbohydrate Research. 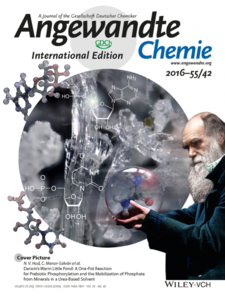 2016, 433, 54-62, DOI: 10.1016/j.carres.2016.07.012. 43. 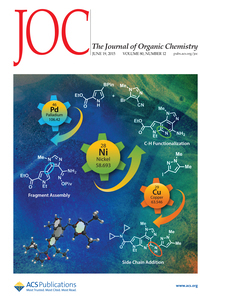 Photoredox-Mediated Minisci C–H Alkylation of N-Heteroarenes Using Boronic Acids and Hypervalent Iodine. Guo-Xing Li, Cristian A Morales-Rivera, Yaxin Wang, Fang Gao, Gang He, Peng Liu,* and Gong Chen*. 42. 1,2,3,4-Tetrahydroquinoline synthesis via Palladium-Catalyzed Picolinamide-Directed Remote C–H Iodination of Arylpropylamines. William A Nack, Xingmou Wang, Bo Wang, Gang He*, and Gong Chen*. Beilstein J. Org. Chem. 2016, 12, 1243-1249. 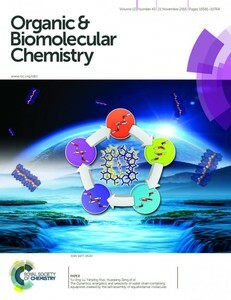 DOI:10.3762/bjoc.12.119 . 41. 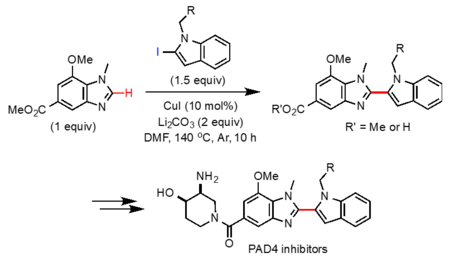 Benzazetidine Synthesis via Palladium-Catalyzed Intramolecular C−H Amination. Gang He,* Gang Lu, Zhengwei Guo, Peng Liu,* and Gong Chen*. 40. Syntheses and Transformations of α-Amino Acids via Palladium-Catalyzed Auxiliary-Directed sp3 C−H Functionalization. Gang He, Bo Wang, William A Nack, and Gong Chen*. Acc. Chem. Res. 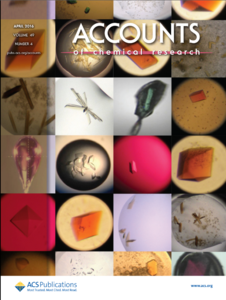 2016, 49, 635-645, DOI: 10.1021/acs.accounts.6b00022. Bo Wang, Yunpeng Liu, Rui Jiao, Yiqing Feng, Qiong Li, Chen Chen, Long Liu, Gang He, and Gong Chen*. J. Am. Chem. Soc. 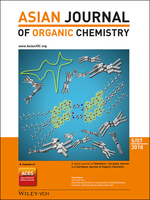 2016, 138, 3926-3932, DOI: 10.1021/jacs.6b01384. ^ Highlighted by C&E News 2016, 94 (11), 10. 38. Palladium-Catalyzed Arylation of Methylene C(sp3)−H Bonds at Room Temperature: Desymmetrization of Simple Cycloalkyl Carboxylic Acids. William A Nack, Bo Wang, Xiang Wu, Rui Jiao, Gang He, and Gong Chen*. Org. Chem. 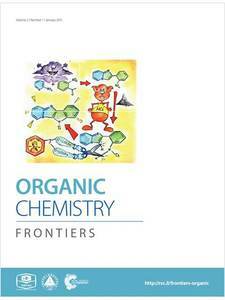 Frontier 2016, 3, 561-564, DOI: 10.1039/C5QO00421G. 37. Palladium-Catalyzed -C(sp3)−H Arylation of Phthaloyl Alanine with Hindered Aryl Iodides: Synthesis of Complex -Aryl -Amino Acids. Xuekai Zhang, Gang He*, and Gong Chen*. 36. 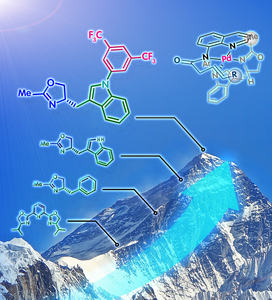 A Visible-Light-Promoted Radical Reaction System for Azidation and Halogenation of Tertiary Aliphatic C−H Bonds. Yaxin Wang, Guo-Xing Li, Guohui Yang, Gang He, and Gong Chen*. Chem. Sci. 2016, 7, 2679-2683. DOI: 10.1039/C5SC04169D. 35. 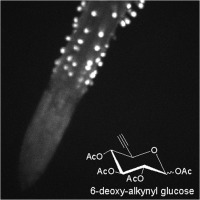 The Click-compatible Sugar 6-Deoxy-alkynyl Glucose is Metabolically Incorporated into Arabidopsis Root Hair Tips and Arrests Their Growth. Daniel D. McClosky, Bo Wang, Gong Chen, Charles T. Anderson*. Phytochemistry 2016, 123, 16-24. 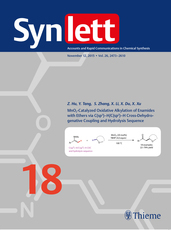 DOI: 10.1016/j.phytochem.2016.01.007. 34. Palladium-Catalyzed Alkylation of Unactivated C(sp3)−H Bonds with Primary Alkyl Iodides at Room Temperature: Facile Synthesis of β-Alkyl α-Amino Acids. Bo Wang, Xiang Wu, Rui Jiao, Shuyu Zhang, William A Nack, Gang He, and Gong Chen*. Org. Chem. Frontier 2015, 2, 1318-1321. DOI: 10.1039/c5qo00112a. 33. Syntheses of Nitrogen-containing Heterocycles via Palladium-catalyzed Intramolecular Dehydrogenative C-H Amination. William A. Nack, and Gong Chen*. Synlett 2015. 26, 2505-2511. DOI: 10.1055/s-0034-1381051. 32. A Versatile Click-Compatible Monolignol Probe to Study Lignin Deposition in Plant Cell Walls. 31. Synthesis of α-Alkynyl β-Amino Acids via Palladium-Catalyzed Alkynylation of Unactivated C(sp3)−H Bonds. 30. ATF4 Gene Network Mediates Cellular Response to the Anticancer PAD Inhibitor YW3-56 in Triple Negative Breast Cancer Cells. 29. Pd-catalyzed Mono-selective ortho-C−H Alkylation of N-Quinolyl Benzamides: Evidence for Stereo-retentive Coupling of Secondary Alkyl Iodides. Shuyu Zhang, Qiong Li, Gang He, William A. Nack, and Gong Chen*. 28. Total Synthesis of Hibispeptin A via Pd-Catalyzed C(sp3)−H Arylation with Sterically Hindered Aryl Iodides. Gang He, Shuyu Zhang, William A. Nack, Ryan Pearson, Javon Rabb-Lynch, and Gong Chen*. 27. Palladium-Catalyzed Stereoretentive Olefination of Unactivated C(sp3)−H Bonds with Vinyl Iodides at Room Temperature: Synthesis of -Vinyl -Amino Acids. Org. Lett. 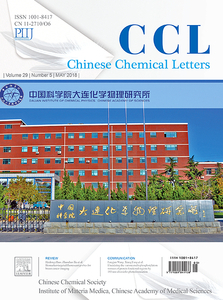 2014, 16, 6260-6263, DOI: 10.1021/ol503248f, PMID: 25412205. William A. Nack, and Gong Chen* e-EROS. 2014. 25. 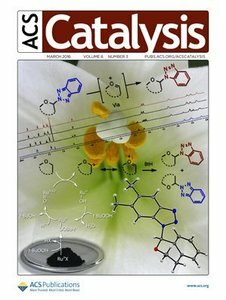 Palladium-Catalyzed Trifluoroacetate-Promoted Mono-Arylation of β Methyl Group of Alanine at Room Temperature: Synthesis of β-Arylated α-Amino Acids through Sequential C−H Functionalization. Bo Wang, William A. Nack, Gang He, Shuyu Zhang, and Gong Chen*. Chem. Sci. 2014, 5, 3952-3957. DOI: 10.1039/C4SC01545B. 23. Palladium-Catalyzed Picolinamide-Directed Halogenation of ortho C−H Bonds of Benzylamine Substrates. Chengxi Lu, Shu-Yu Zhang, Gang He, William A. Nack, and Gong Chen*. Tetrahedron 2014, 70, 4197-4203. 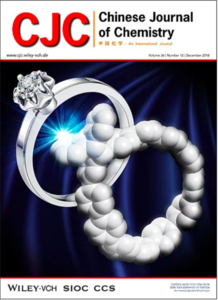 DOI: 10.1016/j.tet.2014.02.070. 24. Palladium-Catalyzed Picolinamide-Directed Acetoxylation of Unactivated γ C(sp3)−H Bonds of Alkylamines. Qiong Li, Shuyu Zhang, Gang He, William A. Nack, and Gong Chen*. 22. Copper-Catalyzed Picolinamide-Directed ortho Amination of ortho-C−H Bonds of Anilines with Alkylamines at Room Temperature. Qiong Li, Shu-Yu Zhang, Gang He, Zhaoyan Ai, William A. Nack, and Gong Chen*. 21. Stereoselective Synthesis of -Alkylated -Amino Acids via Palladium-Catalyzed Alkylation of Methylene C(sp3)−H Bonds. Shu-Yu Zhang, Qiong Li, Gang He, William A. Nack, and Gong Chen*. J. Am. Chem. Soc. 2013, 135, 12135−12141. DOI: 10.1021/ja406484v, PMID: 23919290. 20. Use of a Readily Removable Auxiliary Group for the Synthesis of Pyrrolidones by the Palladium-Catalyzed Intramolecular Amination of Unactivated C(sp3)−H Bonds. Gang He, Shu-Yu Zhang, William A. Nack, and Gong Chen*. 19. 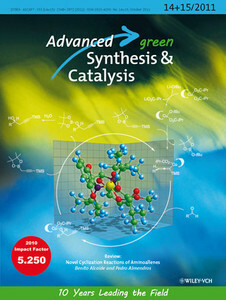 Experimental and Computational Studies of Anion Recognition by Pyridine-Functionalized Calixarenes. Nicola Y. Edwards,* Fang Liu, and Gong Chen. 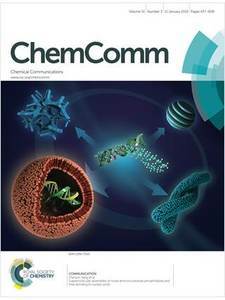 Supramolecular Chem. 2013, 25, 481−489. 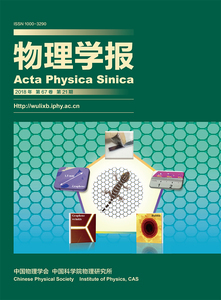 DOI: 10.1080/10610278.2013.794946. 18. Iodination of Remote ortho-C−H Bonds of Arenes via Picolinamide-Directed Electrophilic Aromatic Substitution: A Streamlined Synthesis Strategy for Tetrahydroquinolines. William A. Nack, Gang He, Shu-Yu Zhang, Chengxi Lu, and Gong Chen*. 17. Synthesis of Phenanthridines via Palladium-Catalyzed Picolinamide-Directed Sequential C−H Functionalization. Ryan Pearson, Shuyu Zhang, Gang He, Nicola Edwards, and Gong Chen*. 16. Synthesis of Novel Bivalent Mimetic Ligands for Mannose-6-Phosphate Receptors. Yunpeng Liu, Jared Marshall, Qiong Li, Nicola Edwards, Gong Chen*. 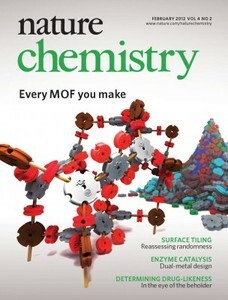 ^ Editors’ choice, ChemInform 2013, 44, issue 32. 14. Anticancer PAD inhibitors regulate the autophagy flux and the mammalian target of rapamycin complex 1 activity. Wang, Y.J., Li, P., Wang, S., Hu, J., Fisher, M., Oshaben, K., Wu, J., Zhao, N., Wang, D., Chen, G.* Wang, Y*. 13. Palladium-Catalyzed Alkenylation and Alkynylation of ortho-C(sp2)−H Bonds of Benzylamine Picolinamides. 12. Improved Protocol for Indoline Synthesis via Palladium-Catalyzed Intramolecular C(sp2)−H Amination. 11. Efficient Ether Synthesis via Palladium-catalyzed Picolinamide-directed Alkoxylation of Unactivated C(sp3) and C(sp2)−H Bonds at Remote Positions. 10. 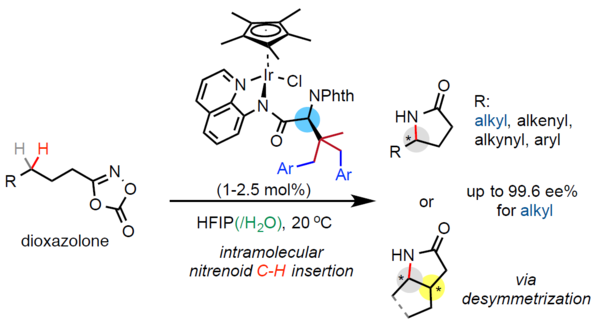 Highly Efficient Syntheses of Azetidines, Pyrrolidines and Indolines via Palladium-Catalyzed Intramolecular Amination of C(sp3) and C(sp2)−H Bonds at and Positions. Gang He, Yingsheng Zhao, Shuyu Zhang, Chengxi Lu, and Gong Chen*. 9. 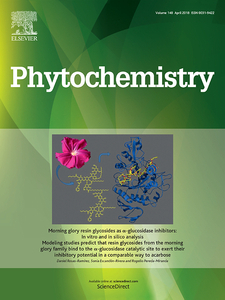 Chemical Synthesis of N-linked Glycans Carrying both Mannose-6-phosphate and GlcNAc-Mannose-6-phosphate Motifs. 8. Palladium-catalyzed Alkylation of ortho-C(sp2)−H Bonds of Benzylamide Substrates with Alkyl Halides. 7. 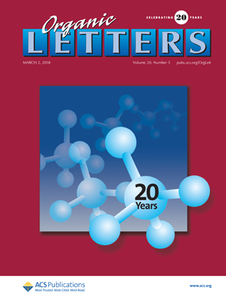 A class of novel N-isoquinoline-3-carbonyl-l-amino acid benzylesters: Synthesis, anti-tumor evaluation and 3D QSAR analysis. 6. Development of highly effective three-component cytoprotective adjuncts for cisplatin cancer treatment: synthesis and in vivo evaluation in S180-bearing mice. 4. 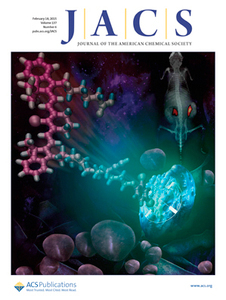 Chemical Synthesis of a Bis-phosphorylated Mannose-6-Phosphate N-Glycan and its Facile Mono-conjugation with Human Carbonic Anhydrase II for in vivo Fluorescence Imaging. 3. Facile Benzo-ring Construction via Palladium-catalyzed Functionalization of Unactivated sp3 C−H bonds Under Mild Reaction Conditions. 2. Coordination of PAD4 and HDAC2 in the regulation of p53 target gene expression. 1. Total Synthesis of Celogentin C via Stereoselective C−H Activation. 1. Reactivity of Functional Groups on the Protein Surface: Development of Epoxide Probes for Protein Labeling. Gong Chen, Alexander Heim, Doris Riether, Dominic J. Yee, Yelena Milgrom, Mary Ann Gawinowicz, and Dalibor Sames*. 2. Design of Optical Switches as Metabolic Indicators: New Fluorogenic Probes for Monoamine Oxidases (MAO A and B). Gong Chen, Dominic J. Yee, Niko G. Gubernator, and Dalibor Sames*. 3. 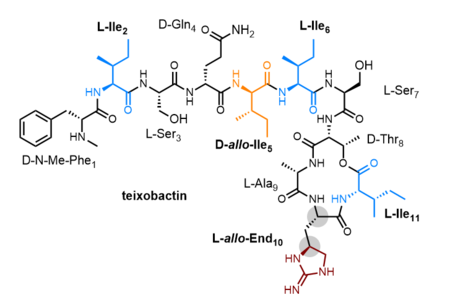 A route to cyclic peptides and glycopeptides by native chemical ligation using in situ derived thioesters. Jiehao Chen, J. David Warren, Bin Wu, Gong Chen, Qian Wan, and Samuel J. Danishefsky*. Tetrahedron Lett. 2006, 47, 1969−1972. 1. 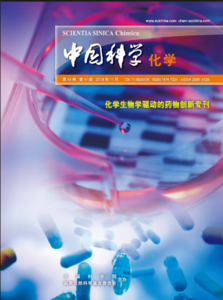 Therapeutic compositions and methods of PAD4 inhibitors in cancer and autoimmune diseases. Gong Chen, Yanming Wang, Pingxin Li, Jing Hu, Shu Wang, Yuji Wang. US/ International Pat. App PCT/US2011/058791, WO/2012/061390, 2012.